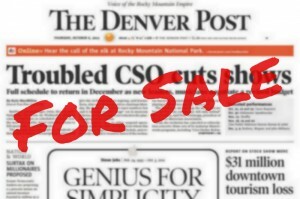 Newspaper company stocks are trading for less than $1 a share. Great newsrooms have been cut down like so many sheaves of wheat. Where quasi-monopolies once reigned over whole metropolitan areas, we have conversation and communities, but also chaos and confusion. A vanguard of journalism thinkers steps forward to explain things, and we should be grateful that they are here. If they weren’t, we’d have to invent them. Someone has to help us figure this out. Most prominent are Jeff Jarvis, Clay Shirky, and Jay Rosen, whose ideas we’ll focus on here, along with Dan Gillmor, John Paton, and others. Together their ideas form what I will call the future-of-news (FON) consensus. At its heart, the FON consensus is anti-institutional. It believes that old institutions must wither to make way for the networked future. [Dean Starkman is] not even wild about the familiar institutions altering themselves too radically to accomodate those changes. Paton, who is trying to save local news reporting, is derided for being a “FON practitioner” (shades of the 5th column), and The Guardian, a storied paper since back in the day, gets ten with the cane for going ‘digital first‘. When echt newspaper guys like Paton of the Journal-Register and Alan Rusbridger of The Guardian are seen as heretics, you know we’re talking about that old-time religion.